When people hear the phrase “martial arts”, often they assume it is the militaristic way of the Asian past. "Tae kwon do" means “The way of striking with hand and foot”. Taekwondo, has a fierce history, but presently it enjoys the status of being an Olympic sport that is mastered by world class athletes. It is a sport that disciplines your spirit, mind and body. It is comprised of “forms, “breaking” and “sparring”. Forms are memorizing a series of typically 10 up to 20 movements using your arms, legs and full body - similar to a dance. Breaking is the ability to use your strength and mental training to break a board using a punching or kicking motion. Sparring is learned through a series of “one-steps” or body movements designed for self defense. Sparring at the adult level can be vigorous, but with the kids, it is light contact with the purpose being to learn the movements of self defense. All three, in addition to attiude and philosophy, comprise the sport of Taekwondo. What I learned about Taekwondo was about the quality of the instructor and the academy where you learn. The other thing I learned is that this is a sport that is just the thing for a gifted student. It is an incredible sport for being "perfect" at. You work, over and over at forms that exercise the body and the mind. In light contact sparring, you challenge your ideas about strategy, but within a pretty specific set of boundaries. In class all students perform the same way, yet those who are willing to work harder at being "perfect" are sometimes rewarded by being allowed to instruct the other students. I have found wiuh my student, TaeKwonDo is a place where if we are not perfect say in Math, we can be perfect athletically because we have total control over what our body is doing. If you are serious about Taekwondo as one of the “sports” for your children, you want to be sure that your school is accredited. This means that either your instructor (Seon Sang (Nim)(Korean term)), or your school (Dojang) is a member of the World Taekwondo Federation (WTF). The WTF was established in 1973 by the Korean Taekwondo Association and is headquartered at the Kukkiwon, Seoul, Korea. In the U.S., the United States Taekwondo Union (USTU) maintains a close relationship with the WTF. You will find that there are a number of Taekwondo associations in the United States, it is not enough to just belong to one of these, somehow, there must be some association with the WTF. Verify this by asking how they are associated. Some Dojangs will display the WTF flag and have no association with it or the USTU. Alternatively, verify the instructor. The instructor should be a “Master” a 4th Dan black belt or greater with a certificate from the WTF. A WTF Master can issue certificates of all the colored belts - those below black. A Master is authorized through the WTF to issue a certified black belt. Finally, if your student will be aspiring to black belt level, you want to be sure that the black belt certificate comes from the Kukkiwon in Korea and is signed by Dr. Un Yong Kim. The WTF Master at the Dojang will test the student for the black belt, but he must send the application to Korea to receive the official black belt. Verify this by asking where the belt comes from. A black belt from Korea is the only Taekwondo belt recognized at the competitive levels. Add Travel To Your Curriculum! One of things homeschoolers can do with ease is to add travel to school schedules. At the beginning of the year I look at what sort of topics we plan to explore during the school year, and then my student and I plan our “field trips”. We’ve used field trips for Art, World Culture, Foreign language, Science, Engineering, Geography and History. One of the really good field trips we’ve added to our curriculum was an excursion to Guatemala, Central America. The plan was to visit and learn about the modern and ancient Maya and to practice our Spanish. Before we departed, we made a map of Guatemala and located the places we were going to visit. On the agenda was Antigua, Lake Atitlan, Santiago, Chichicastenango, Tikal and Guatemala City. We chose March for our visit because we knew there would be many colorful fiestas as this is the most festive time of the year in Guatemala. Antigua was especially colorful as it was once the capital of Guatemala. Antigua has returned to small town status but has a lot of “big city” architecture that survived the years of earthquake activity that caused the capital to be moved to Guatemala City. There are a few “Americanized” places to stay as well as authentic posadas and guest casas. The high country in Guatemala is not for the accidental tourist. To be a true traveler, you must remember to take the culture as it is and to not compare it to American standards. The rural Mayan live very well and are accustomed to hard work, hard play and a dedication to traditional ways. Spanish is a requirement in the high country, as well as a knowledge of local customs. It is not unusual to see armed military personnel in places like banks and pharmacies. It is also not unusual to see the traditional Mayan walking along the road in the same sort of garb, worn for thousands of years. The latter is more common. Market day is a colorful event where locals meet and greet each other to buy and sell wares from the different villages. Each village or town has their own color weave and pattern in the garments they wear. 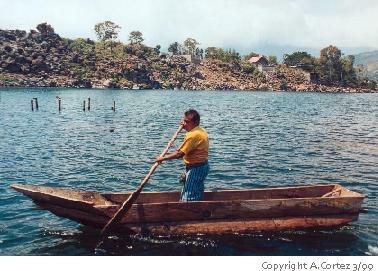 Santiago Atitlan, a village that is located on Lake Atitlan, at the base of two volcanoes, is the is the largest, most traditional lake town and is the capital of the Tzutuhil Indians. This village is famous for the quality of weaving and most people still wear the striking traditional costume. Chichicastenango holds one of the largest markets in the high country. Market Days are Thursdays and Sundays, and this has been tradition for hundreds of years. El Peten Itza, home to the famed wood carvers of EL Remate, is also a good base for an outing to Tikal, an excavation in progress. 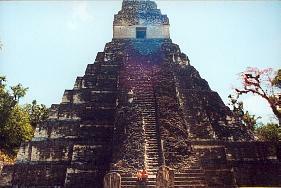 Tikal is the most famous and impressive of the Mayan ruins. 50,000 - 100,000 Mayan lived there at it’s height in 600 AD. Archeologists have recovered 226 square miles of structures and monuments so far. Tikal is an excellent site for observing how these detectives of the ancient world go about their work. Another one of the topics we have studied is fossils, and boy is Utah a good place for that! Vernal, Utah home of the Dinosaur National Monument’s Dinosaur Quarry and Dinosaur National Monument is an excellent outing. The Dinosaur Quarry houses a formation that looks like a wave of fossils. The museum exhibits at the quarry are informative as well regarding the formation of fossils. In the museum shop there is a Junior Ranger program booklet that you can obtain to use as a workbook as you explore the two parks spread over Utah and Colorado. If your student completes the booklet and can answer a few questions that the ranger asks, he can earn a certificate, a Junior Ranger pin and a very cool Junior Ranger patch. The workbook is much better than the text book we planned to use for our fossil studies. It covers topics like dinosaurs, natural communities, ecosystems, fossils, dinosaur ecology, food chains, webs of life, petroglyphs, arrowheads, settler cabins and wildlife. Our student used the workbook over the two days to be our tour guide, to complete the learning activities and to earn the patch. He interviewed with a Park Ranger who asked him a series of questions and discussed with him the items he was unclear on. The personal interview with the Ranger was the best part of the trip! On another field trip, we studied coral reefs. We actually studied coral reefs in 2 parts, the Northern part of the study was in the Florida Keys and the Southern part was in Belize, Central America. We’ll save the details of Belize for another time! The Florida keys can be a wonderful refuge when you get tired of snow, and that is why we plan our coral studies for February. Airfare can be at a premium, but if you book in December, there are deals to be found. Our field trip agenda included a glass bottom boat ride to view reef life, a dolphin encounter and sunset and sunrise walks at the shore (there are no beaches, as it is all reef in the Florida keys). 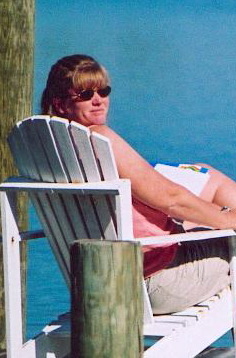 We stayed at a place called Hawks Cay Resort on Duck Key. We chose this place because it was situated in the heart of the keys. It also offered the glass bottom boat rides and the dolphin encounter and is near the Florida Dolphin Research Center. The Dolphin Research Center (www.dolphins.org), is a not-for-profit education and research facility, home to a family of Atlantic bottle nose dolphins and California sea lions. They are located on Grassy Key. Before we went on the glass bottom boat ride we determined what animals we might see on the reef at that time of year. Before we set out on the boat ride we made a check list of the animals and checked them off as we viewed them in their natural habitat. The Dolphin Encounter at Hawks Cay helped us to learn about the Florida Keys’ sensitive Ecosystem and marine life in an up-close encounter with Atlantic bottle nose dolphins. There were three programs (one activity was an actual swim with the dolphins) we could choose from and we chose the dockside encounter where we got to meet the dolphins and interact with them. Sunset adventure(s) at the shore proved to be more fruitful than our sunrise walks. At sunset we saw many crabs, jellyfish, pelicans and other creatures doing what they do on the reef at sunset. We drew pictures, took notes and photographs. If you can’t get to the Florida Keys, here’s a coral recipe so you can grow your own reef: You’ll need a glass pie pan, (a coral base: charcoal, porous brick, piece of cement or a sponge) water, table salt, liquid bluing, ammonia, food coloring, measuring spoons. Place the coral base in the glass pie pan(we used a sponge), add 2 tblsp water, 2 tblsp salt, 2 tblsp liquid bluing, 2 tblsp ammonia over the coral base. set the bowl away from where it can get bumped. The next day add 2 more 2 tblsp salt. On the third day pour into the bottom of the pie pan (not directly on the base), 2 tblsp each of salt, water, bluing and ammonia; then add a few drops of food coloring (if you want colored coral). If your formation does not start to grow by the fourth day you may need to add more ammonia to aid the growth. The explanation you give to the student is that just as the water, bluing and ammonia dissolved the salt to form crystals, coral polyps use dissolved calcium carbonate to create the stony cup that protects their soft bodies and creates reefs. Want to contribute an article?